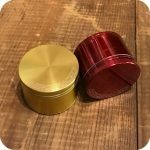 Aerospaced surpasses expectations once again with their innovative Large Groove Grinder–the toothless grinder that shreds herbs with its fan-like blades. 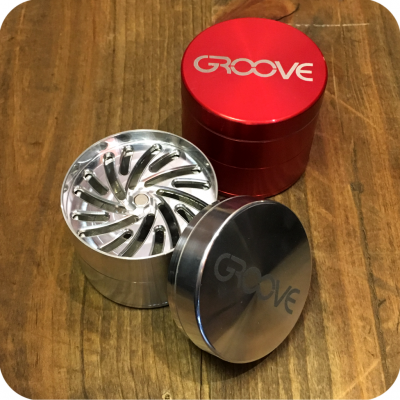 The Groove grinders by Aerospaced are the next big advancement in grinding technology! 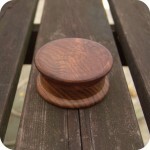 Right off the bat, you’ll notice the super strong magnet keeping the top part attached. 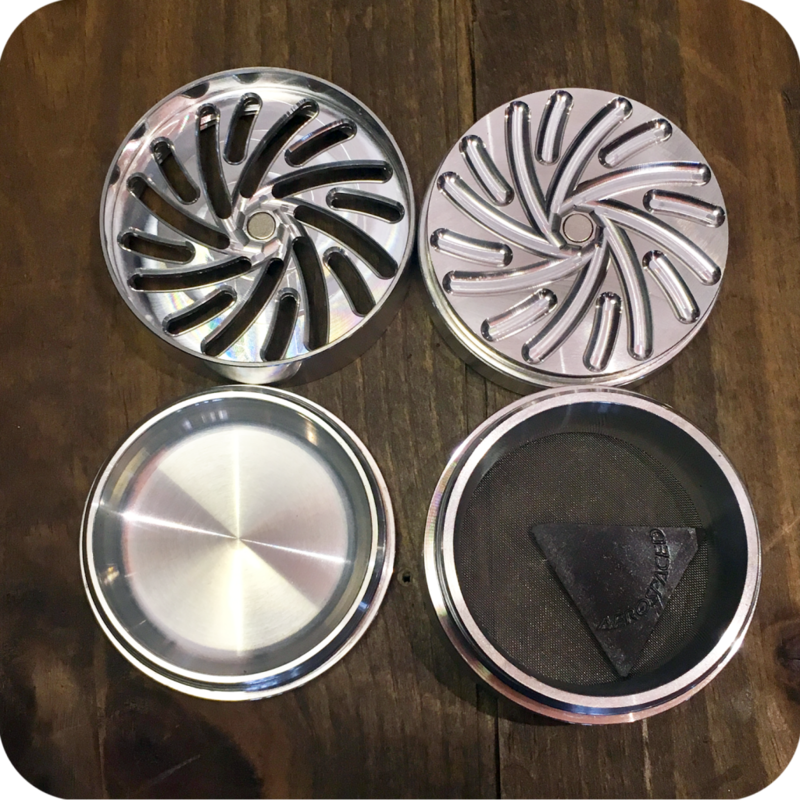 When you pull it off, you’ll find a fan-like swirl of sharp inlets that work to grind your herb evenly and efficiently. Screw off the 2nd piece to reveal the herb catching chamber, which is jaw-droppingly deep. In this compartment, there is a black plastic triangle scraper branded with the companies name. The triangle shape is perfect for getting herb (and pollen!) out of the edges of the grinder. Finally, unscrew the bottom piece to reveal the deep pollen catcher. 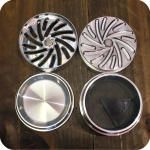 This pollen catcher has seamless rounded edges, which is great because your pollen won’t get caught in any seams or corners! The large groove grinder comes in silver, red, and green. Please be sure to specify your color preference in the comments/notes section of your order. Finally, do not forget to swing by either one of our three Brooklyn store locations. We are located at 12 Wilson Ave in Bushwick, 518 Grand Street in Williamsburg, and 377 Metropolitan Ave also in Williamsburg.